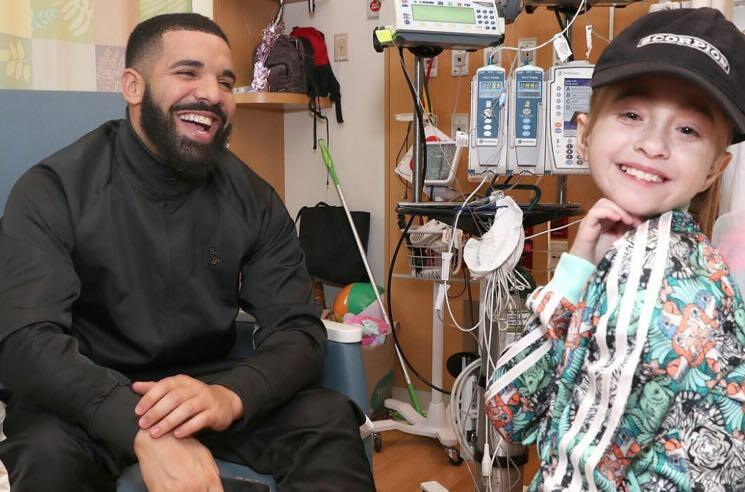 Toronto fans were pretty upset last week when Drake postponed his hometown show at the last minute — at least until they learned that he'd skipped town to visit a sick young fan in hospital on her 11th birthday. Now, that young girl — Sofia Sanchez, who had been diagnosed with the life-threatening heart condition cardiomyopathy — has received the heart transplant she was waiting for. She got the news on Sunday (August 26) and has since undergone surgery. Cardiovascular surgeon Carl Backer said [via the Associated Press] that the 12-hour surgical procedure went "extremely well," but that the first 48 hours post-op will be critical. Her mom, Natalie, has since offered an update on Sofia's GoFundMe page, which reads: "Sofia is out of surgery! Surgery went well. She received a really good, strong heart. They will keep her asleep for the remainder of the night. Thank you for your prayers. God is good." Sanchez first got Drake's attention when she did the #InMyFeelingsChallenge in the hallway of Chicago's Lurie Children's Hospital. The Toronto rapper then visited her, and they apparently talked about Justin Bieber, owls and basketball.